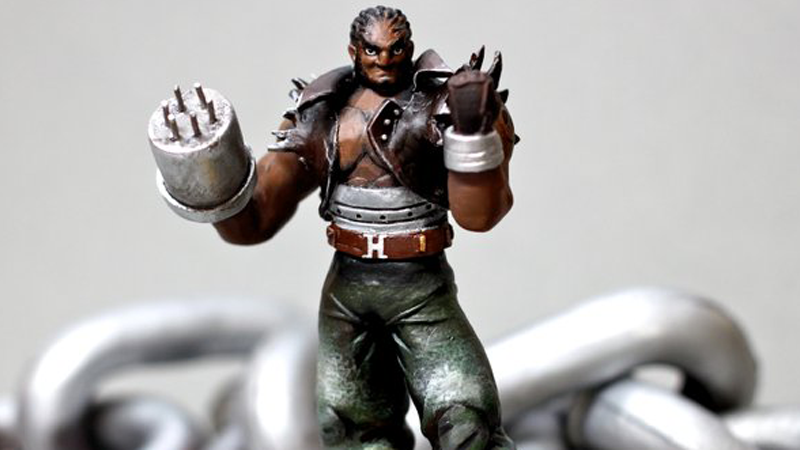 Here’s an insanely great custom Amiibo Barret from Final Fantasy VII, by artist GandaKris. It’s not a 3D-printed model, but a skinned, repainted, remodelled version of the Ganon Amiibo. You can see traces of his beard in the WIP photo below, but otherwise GandaKris did an amazing job, and it’s pretty hard to recognize the figure’s origins. Well done! Time to build all the other characters from Final Fantasy VII!